Adnan Shukrijumah. The Pakistan military issued a statement Saturday Dec. 6, 2014 saying Adman Shukrijumah was killed in a raid in Pakistan's North Waziristan tribal area. ISLAMABAD (AP) — Pakistani soldiers killed a top al-Qaida operative Saturday who was indicted in the U.S. for his alleged involvement in a plot to bomb New York's subway system, the military said in a statement. The death of Adnan Shukrijumah is the latest blow to the terror organization still reeling from the 2011 killing of leader Osama bin Laden and now largely eclipsed by the militant Islamic State group. It also marks a major achievement for the Pakistani military, which mounted a widespread military operation in the northwest this summer. The military announced Shukrijumah's death in a statement, saying that he was killed along with two other suspected militants in Pakistan's South Waziristan tribal area early Saturday. South Waziristan is part of the mountainous territory bordering Afghanistan that is home to various militant groups fighting both in Afghanistan and Pakistan. "The al-Qaida leader, who was killed by the Pakistan army in a successful operation, is the same person who had been indicted in the United Stated," said a senior Pakistani army officer, who spoke on condition of anonymity as he was not authorized to talk to journalists. As al-Qaida's head of external operations, the 39-year-old Shukrijumah occupied a position once held by Sept. 11 mastermind Khalid Sheikh Mohammed. 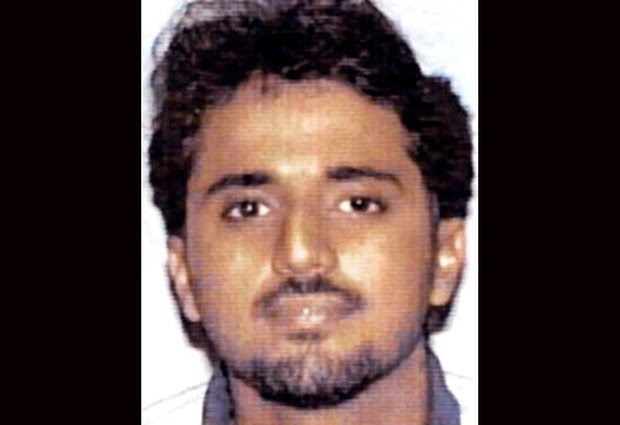 The FBI lists Shukrijumah, a Saudi national, as a "most wanted" terrorist and the U.S. State Department had offered up to a $5 million reward for his capture. Federal prosecutors in the U.S. allege Shukrijumah had recruited three men in 2008 to receive training in the lawless tribal region of Pakistan for the subway attack. The three traveled to Pakistan to avenge the U.S. invasion of Afghanistan but were persuaded by al-Qaida operatives to return to the United States for a suicide-bombing mission against a major target such as the New York Stock Exchange, Times Square or Grand Central Terminal. Eventually, the men settled on a plot to blow themselves up at rush hour, according to testimony in federal court. Attorney General Eric Holder has called that New York plot one of the most dangerous since 9/11. Adis Medunjanin, originally from Bosnia, was sentenced to life in prison in November 2012 for his role in a foiled 2009 plot. Najibullah Zazi and Zarein Ahmedzay cooperated with the government in the hopes of getting a reduced sentence. After the Sept. 11 terror attacks, Shukrijumah was seen as one of al-Qaida's best chances to attack inside the U.S. or Europe, captured terrorist Abu Zubaydah told U.S. authorities. Shukrijumah studied computer science and chemistry at a community college in Florida and is thought to be the only al-Qaida leader to have once held a U.S. green card. He lived in Miramar, Florida, with his mother and five siblings. He had come to South Florida in 1995 when his father, a Muslim cleric and missionary trained in Saudi Arabia, decided to take a post at a Florida mosque after several years at a mosque in Brooklyn. But at some point in the late 1990s, the FBI says Shukrijumah became convinced that he must participate in "jihad," or holy war, to fight perceived persecution against Muslims in places like Chechnya and Bosnia. He eventually went to a training camp in Afghanistan where he studied the use of weapons, explosives and battle tactics. When the FBI showed up to arrest him as a material witness to a terrorism case in 2003, he had already left the country. In 2004, then-Attorney General John Ashcroft called Shukrijumah a "clear and present danger" to the United States. Experts said what made him so dangerous was his firsthand knowledge of the United States. There was no immediate comment from the U.S. to the news of Shukrijumah's death. Spokesmen for the New York Police Department and the U.S. attorney's office for the Eastern District of New York did not respond Saturday to emails seeking comment on the report of Shukrijumah's death. The Pakistani military said that Shukrijumah had recently moved from the North Waziristan tribal area to South Waziristan to avoid a military operation the Pakistanis launched in June in North Waziristan. The military said he was hiding in a compound when he was killed but gave few other details about the raid. One Pakistani soldier was killed and another seriously wounded during the assault, the military said. Pakistan's army spokesman, Maj. Gen. Asim Saleem Bajwa, said on Twitter that five "terrorists" also were detained in the raid. The United States has been pushing Pakistan for years to launch an operation in North Waziristan, the last area of the tribal region bordering Afghanistan where the Pakistani military had not forcefully moved to root out militants. The military says they have killed 1,200 militants in the North Waziristan operation and cleared 90 percent of the territory. Shukrijumah's death is a significant success for Pakistan's military, Pakistani security analyst Zahid Hussain said. "They seem to have developed a strong intelligence networks in the tribal areas," he said.